Well, dear readers, I am sitting here like so much fish listening to Porgy and Bess – not our new release, whose final master I heard a few days ago, but the Houston Grand Opera production from the mid-1970s, a production I saw twice at the Ahmanson here in Los Angeles, California. It was directed by Jack O’Brien, a director I’m not all that fond of, but it was this production that made Porgy and Bess a viable property again. It was a fine production, with an excellent cast. And it was long – because they put back everything that had been cut over the years. I had the LP back then, and didn’t listen to it much. Then I had the CD and didn’t even finish disc one but couldn’t really remember why. Well, hearing it now, I know all too well – it’s a bad album, recording-wise, which I have to lay at the feet of its producer, someone beloved from his Sondheim cast albums, some of which I think are fine and some of which I don’t. But he was so full himself back then, and you can hear it in every minute of this CD. First of all the CD is mastered at too low a volume with dynamics that are horrible – the soft bits are so low that you basically can’t even hear them – if you turn it up, then you’re blasted by the occasional loud burst. He obviously had some sort of sound “vision” for the opening but whatever it was it’s just inept. The orchestral opening plays – no punch, no low end, no excitement – then we go to one of the restored bits, a solo piano playing with some choral singing. This is so low that it sounds like it’s playing about ten miles away. I have no idea why or what was in his head and it goes on for minutes. Then he brings the Summertime theme forward a bit but not enough and we get that – too low – and so it goes, with vocals occasionally so far behind the band you can barely hear them. Then you can literally hearing him raising the faders for an orchestral flourish. He also abuses the pan pots, moving people from left to right and right to left as if no one had ever done that before: Note to producer – by the mid-1970s NO ONE was doing that. It’s horrible. And then in sections where it’s just the band, they’re pretty up front (again at a low volume level), and then we’re back to the other. He also loves sound effects and footsteps walking across the stereo spectrum. It’s funny hearing these recordings with my recording ears. When they’re good, I offer high praise – as in all the RCA Charles Gerhardt/George Korngold film music recordings – THAT is how to produce a recording and what music should sound like. Was I on a tear? Was I ranting? Don’t I have some notes to write? I do and I shall, not necessarily in that order. Yesterday was a day, specifically a Saturday. I was up early after six hours of sleep, answered e-mails, and then she of the Evil Eye arrived and I went to an audition session. We were only seeing two people for our leading man. One of them I could see doing it, although not optimal, and the other wasn’t to my liking. We’ve offered it to the first guy because we have to settle this now, but he has some conflicts to work out and we haven’t heard back. And we’re still light a female ensemble member because the one who got the offer decided that she’d rather hold out for a couple of other projects she’s up for. That seems to me rather inane, but it’s sadly typical of actors these days. So, we’ll offer that to the gal who was kind of my first choice anyway. After that, I went and had some bacon and eggs and toast and fruit, then I picked up some packages and the important envelope (finally!). Then I came home, listened to music, and did some work on the computer. I had some telephonic calls, then after a few hours I went to Gelson’s and got some food from the hot food bar – just a bit of chicken teriyaki. I got some fast-cook white rice to go with it, and I bought some ice cream for a little sweet treat. I came home, did some more listening to music, ate the food, and tried the new ice cream. Well, what a major discovery this ice cream was – a brand I’ve never had before called McConnell’s. The name of the flavor immediately appealed to me – toasted coconut almond chip. I had a little cup of it and it was absolutely fantastic. It took all my willpower not to just finish it all. If you like those ingredients (coconut, almonds, and chocolate chips) and they have this brand, give it a try. A major discovery. Then I sat on my couch like so much fish. Last night, I watched a motion picture on Blu and Ray entitled Ready Player One, a film by Steven Spielberg, based on a best-selling novel that those peculiar 80s nostalgia freaks embraced in a major way, because it was filled with references to films, games, and everything else in that decade. Since Mr. Spielberg’s films from that decade were part of all that, he was the natural to make this film. I did not read the book, in fact I never heard of the book and even if I had I would have steered clear of it. I mostly love Spielberg’s films and I will always see them because he’s the last of his breed. But occasionally he simply comes a cropper (The Adventures of Tin Tin, Catch Me if You Can, 1941, War of the Worlds, Hook) and, for me, this is one of those films. He’s made some hated films like A.I. that I have defended and said people will reassess them, which has come to pass. But this film is relentless, and because most of the action and story takes place in a virtual reality world, you never really get to know or care about the characters in the real world. It’s a lot of sensory overload that I’m sure was nice and loud and big in IMAX. But the film got mixed reviews, did about 137 million at the US box-office, which is well under its 175 million dollar budget and the obscene 150 million spent to promote it. They “say” it did a total of over 500 million worldwide, a figure I do not believe is in any way real. Even if it were real, it means the picture barely broke even, if that. There’s something seriously wrong with the movie business today. But this is all motion capture, animation, and CGI and then the occasional scenes with the real actors. For me, that’s an uneasy mix and I just sat there and didn’t care, wasn’t invested, and even though Spielberg pontificates that it was all about the storytelling, the storytelling was never clear and the story itself was simply not compelling, at least to me. Alan Silvestri wrote a very busy and loud score. The best sequence in the movie is when the game goes into Stephen King’s The Shining land – well Kubrick’s The Shining land – that’s very witty and really well executed. And the cultural references are occasionally amusing as well as occasionally irritating. The villain, played by Ben Mendelsohn, isn’t all that interesting, and frankly I don’t find the actor very interesting either. Mark Rylance is good in his smallish role. It’s certainly not a movie I ever need to see again. The transfer and sound are, of course, excellent. After that, I started the Porgy and Bess listening experience, which is STILL going on as it’s just around three hours long. I cannot get over the bad sound – it just boggles my mind, the lack of orchestral detail. Listen to any classic Living Stereo RCA opera from the 1950s in that early stereo – those are beautifully recorded with amazing orchestral detail. Today, I need to make a show order, and, as it turns out, choose one more song, and then I’ll start to write the commentary. I’ll eat, but mostly I need to relax. I’m quite sure I’ll have more of that yummilicious ice cream, too. This week is very busy – work session for the Kritzerland show, meetings and meals galore, and just a lot o’ stuff to keep on top of. Well, dear readers, I must take the day, I must do the things I do, I must, for example, make a show order, write, eat, and relax. Today’s topic of discussion: It’s free-for-all day, the day in which you dear readers get to make with the topics and we all get to post about them. 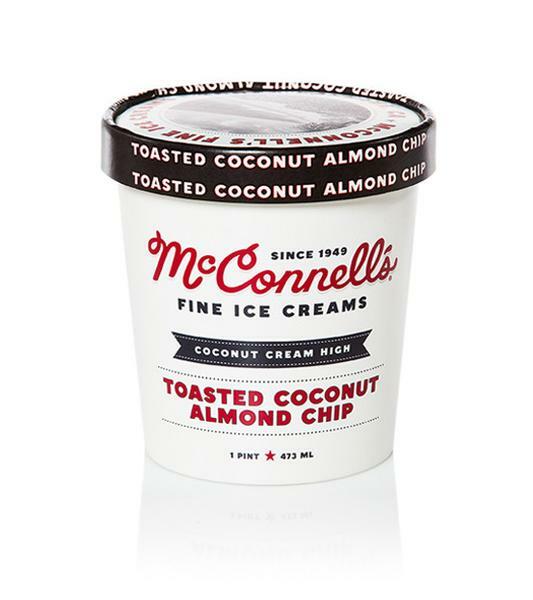 So, let’s have loads of lovely topics and loads of lovely postings, shall we, whilst I hit the road to dreamland, happy to have discovered McConnell’s Toasted Coconut Almond Chip ice cream.